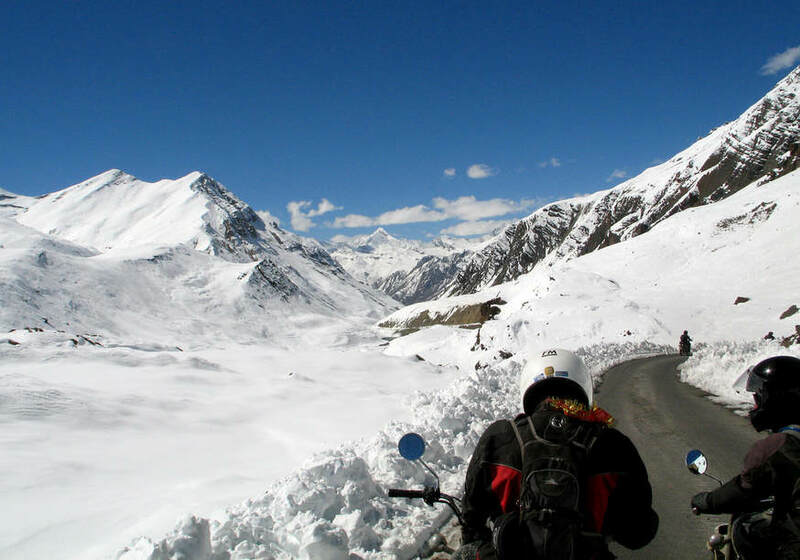 Mount Everest stands before you on this easy road ride around the Himalayas. 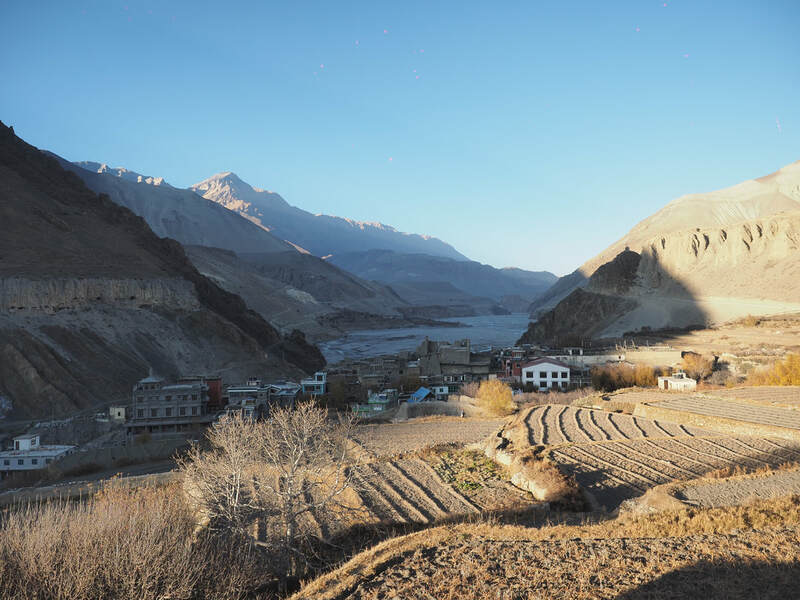 On this trip you will journey up through hills, mountains and valleys to a small road with a mighty view - where Mount Everest and the 8000+m peaks of the Himalaya are spread before you. 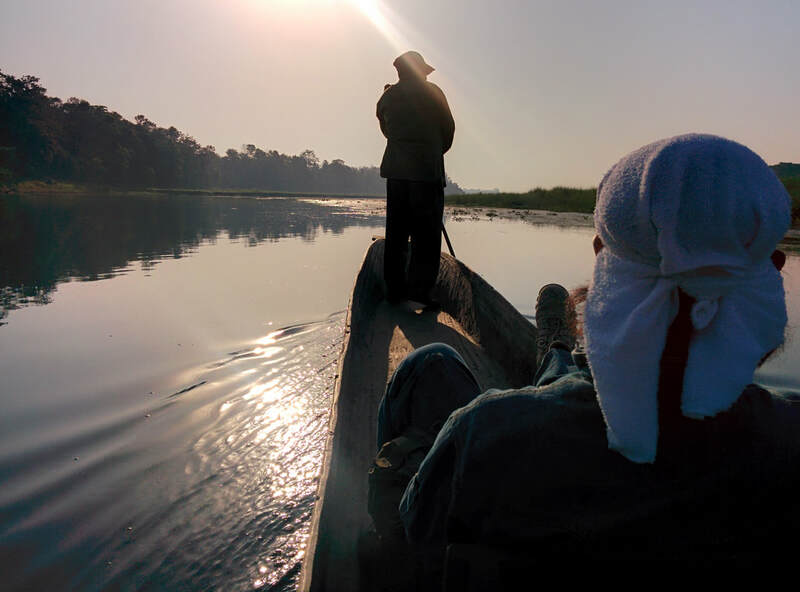 After taking on the Himalayas you will travel down through the hills to the lowlands of the Terai for a jungle safari where you may spot elephants, rhino or even hear the call of majestic Bengal Tiger. ​Time for relaxation comes easy with a stay at Pokhara which situated on Lake Phewa is perfect for those little moments to reflect. 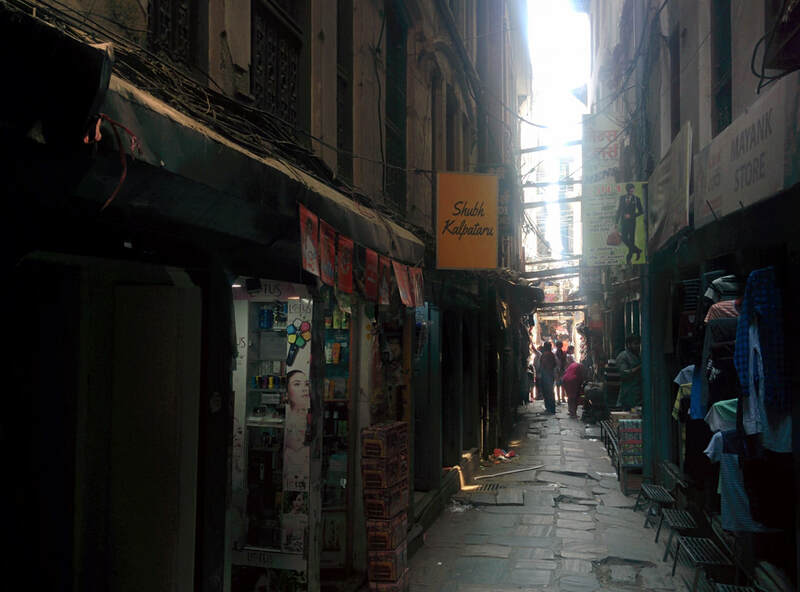 ​Kathmandu is known as the gateway to the Himalayas and you soon can see why, with its bustling streets and narrow walkways the town is certainly a riot of sights, sounds and smell. Many medieval temples stand majestically over the city under the watchful gaze of Buddha himself. ​Some say the best way to see Everest is not from base camp but from afar - watch the sunset over the 39 peaks of the Himalayas as the brilliant snow capped mountains turn a blood orange the into a dark shadow. Camp on the shores of the River of Gold know for its golden deposits often found in the river - chance your luck whilst our chef prepares you dinner. Tiger Safari - let us take you into the jungle with our nomadic guides to look for the wildlife and maybe you may be able to spot the One Horned Rhino, the Mugger Crocodile or even a glimpse of the Bengal Tiger. 25th October - Day two Kathmandu to Trishuli: (56kms): Leaving Kathmandu Valley you’ll ride north passing through an old town of Tokha (alt.4462ft), climb up the valley hill and cross over the pass from Guruje Bhanjyang (alt6168ft). From here you descend on many switchbacks down to Likhu River. The first section is gravel road then after crossing a bridge we will ride on narrow tarmac along the side of a hill. Passing near to Nuwakot Durbar, a historic palace used by Late King Pritivi Narayan Shah. You’ll stay at The Famous Farm tonight, a boutique hilltop hideaway with amazing views. 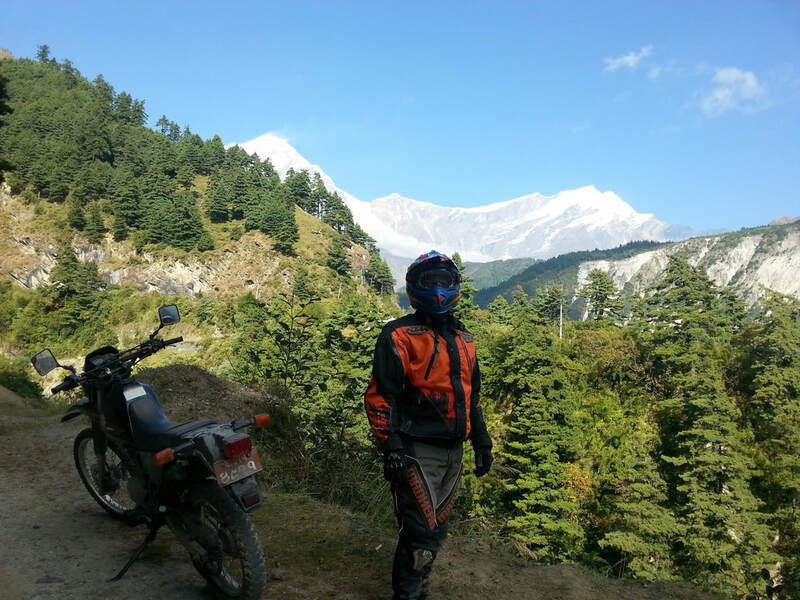 26th October - Day three Trishuli to Gorkha: (95kms) Starting on tarmac roads today until you’re past the local market you then ride west on gravel jeep track for most of the day’s ride. Later you’ll find ourselves on a wide road currently being constructed: the road is full of deep fine dust. Salyantar/Arughat for lunch, this area sits on a flat area besides the river, the river flows from the East side of Mount Manaslu (26,759ft). 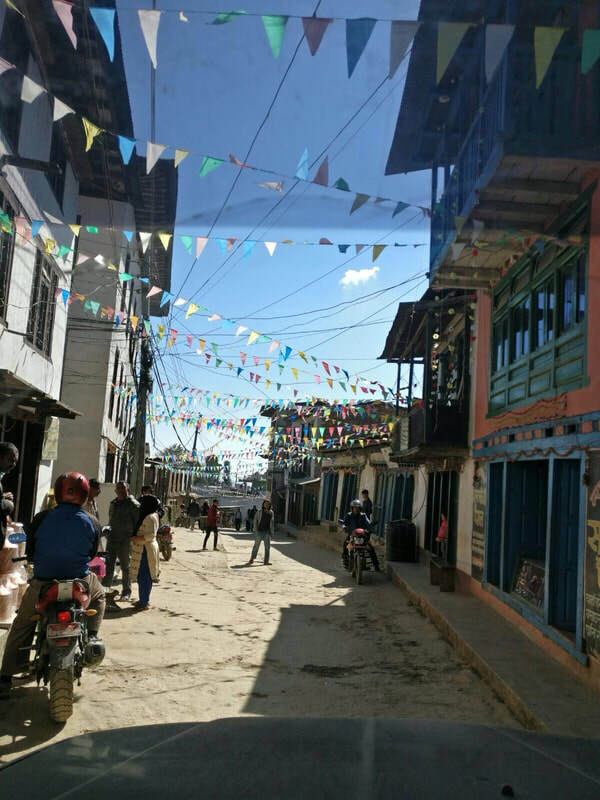 After a bit more jeep track you’ll come back to tarmac roads to take us to the historic town of Gorkha, home of the Gurkhas. You’ll stay at Gorkha Gaun for the night, a hidden paradise with rooms that feel like small cottages. If you’re lucky with the weather you’ll see Mt. Manaslu. 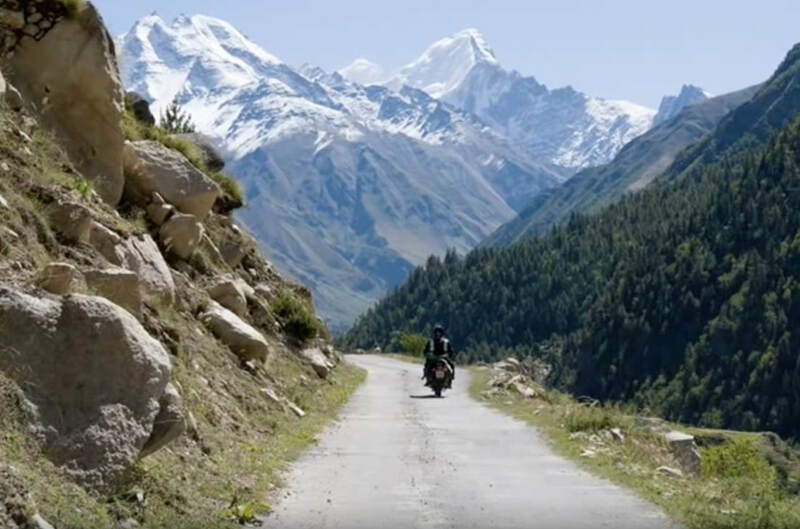 the BBC’s documentary “The world’s most dangerous highways” which runs to Pokhara. town this afternoon to get to our hotel tonight we have to go on a raft pulled across the lake by a rope. Fishtail Lodge is in a unique location situated on a peninsula on Lake Fewa a scenic base for a short stay in the town. 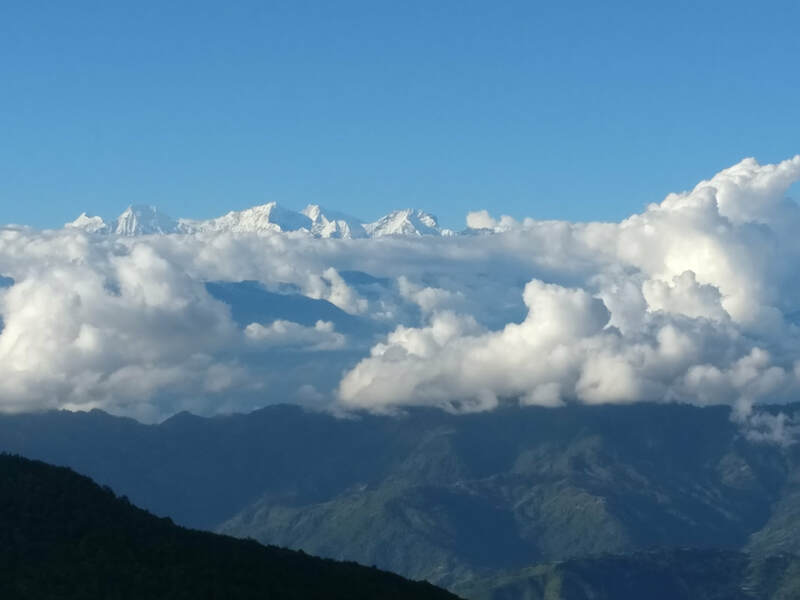 28th October - Day five Pokhara to Jagatpur: (118kms) Leaving Pokhara behind you head south along the Trishuli river. You come across sections of broken tarmac, and mostly tarmac roads until we hit the jungle. You finish by riding through some jungle border villages on sand and gravel tracks. Arriving at the 5* lodge tonight set just across from the wild deep jungle with a water body separating you from the jungle. 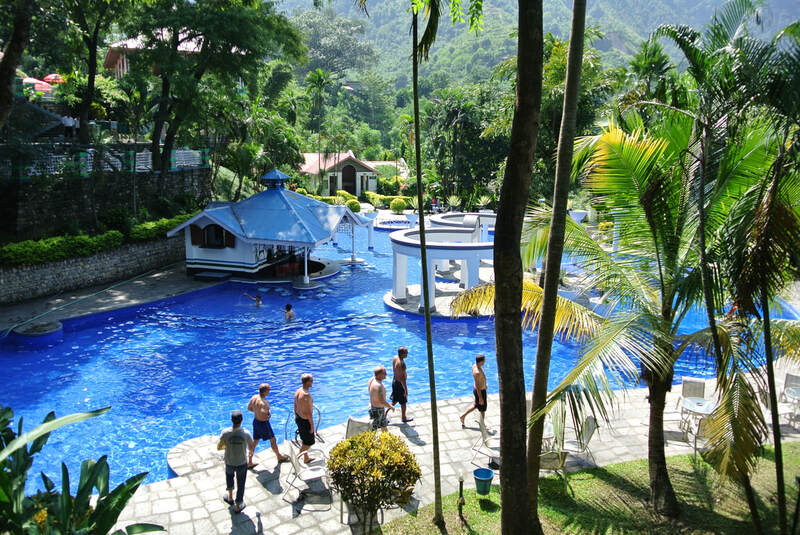 The patient visitor can see wild animals come to drink and cool off right from the hotel. 29th October - Day six Jagatpur: Enjoy a free day, go on an elephant back safari or jeep safari, or just chill out at the resort. If you’re lucky some of the wildlife you may spot might include the Greater One-Horned Rhino, the Royal Bengal tiger, leopards, spotted deer, wild dogs, sloth bears and jackals. 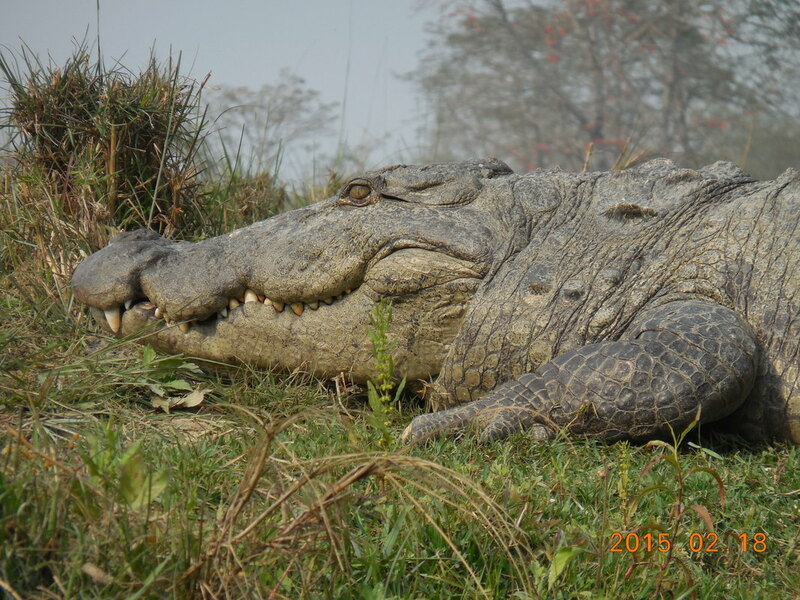 The water bodies afford the patient visitor glimpses of the prehistoric-looking Mugger Crocodile as well as the long-snouted Gharial Crocodile basking on the banks of the river. 30th October - Day seven Jagatpur to Bardibas: (222kms) This is a straight, flat, busy highway in the south of Nepal bordering India. You’ll betravelling in the heat along with many others sharing the highway. Traffic will not be limited to just cars and buses but will also include water buffaloes, cows, people, bullock carts and elephants. You arrive at a busy highway town that has lots of trucks coming through from India and traffic going east/west and north/south of Nepal. Maybe not picturesque but a necessary pitstop after riding 200km in the heat. 31st October - Day eight Bardibas to Okhaldunga: (115kms) Firstly you ride through the middle hills leaving the jungles behind us on roads which are amazing feats of engineering. Then you head up to the foothills of the Himalayas. It’s amore challenging ride today as you increase the altitude and head to the Everest viewpoint destination. The river of gold stretches out beneath you as you wind your way up the hillsides into the Solukhumbu region. Many switchbacks lay ahead and some river crossings too. Some broken tarmac roads today and tarmac the rest of the way with lots of double blind turns and very steep drops. 1st November - Day nine Okhaldunga to Pattale (20kms): Today you finish your journey upwards after stopping for a necessary altitude adjustment in Okhaldunga and arrive in Pattale about 1.5hrs later. Giving you plenty of time for an offroad excursion at 9000ft! This is definitely the best way to experience some good dirt tracks with stunning alpine scenery and remote villages. Also the sunset and sunrise view from your lodge will only add to your day and if you’re lucky there will be views of 39 peaks of the Himalayas, including Mt. Everest! 2nd November - Day ten Pattale to Besi: (118kms) Today you head down to the Tama Kosi River where it’s a day full of switchbacks on a steep hillside on a newly tarmac-ed road, with beautiful views of the river and into the hot river valley. The Tama Kosi River joins up to the Sun Kosi River which you’ll camp beside tonight. At the beach you can test your excellent biking skills out on the sand or go for a cooling dip in the River which is also renowned for it’s Gold. You’ll eat and relax under the stars. The crew will take care of all the camping set up. 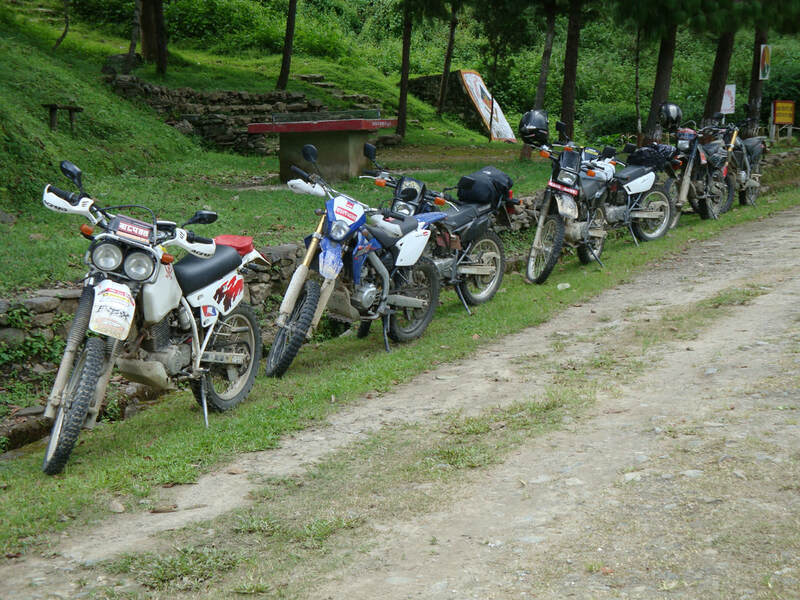 3rd November - Day eleven: Besi to Charikot (81kms) Heading to Charikot is a really enjoyable ride of mostly tarmac road with some spoilt sections. There’s plenty of uphill and hairpin bends and spectacular scenery. Arriving at Charikot where views from the Charikot Panorma Resort of Mount Gauri Shankar can be had along with other mountains that sit in China (Tibet). 4th November - Day twelve: Charikot to Nagarkot (130kms) Leaving Charikot behind the road back towards Kathmandu valley is dug up in places and full of potholes. This is a challenging day with lots of rocks, mud, sand, gravel broken tarmac etc. 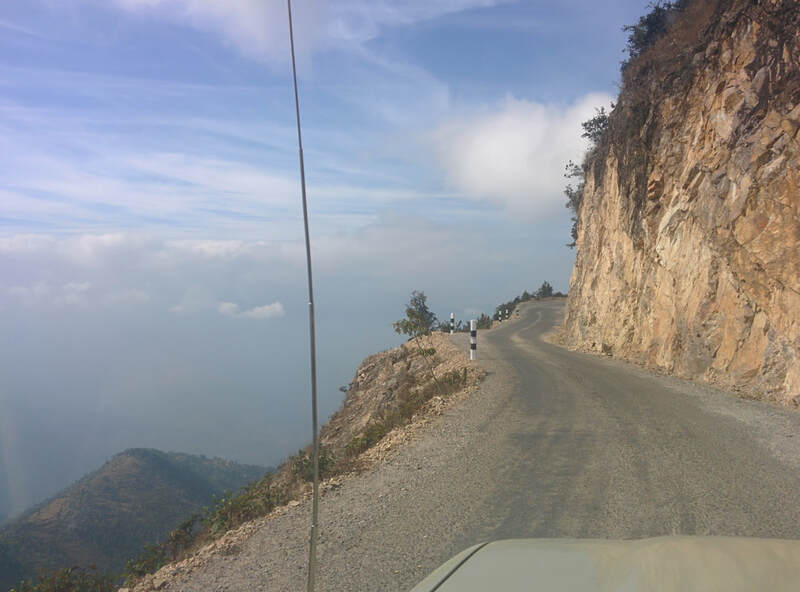 This section of road is also part of the BBC’s world’s most dangerous highways documentary. Arriving at Nagarkot tonight on the rim of the Kathmandu valley. 5th November - Day thirteen Nagarkot to Kathmandu: This morning you should get up early and enjoy sunrise where if you’re lucky the mountains will come out above the clouds in the valley. You can relax this morning and slowly head back to Kathmandu the back route along the jeep tracks. Arriving back in Kathmandu hustle and bustle at your hotel time for relaxation and recuperation in the hotel’s swimming pool or spa. 6th November- Day fourteen: Today we’ll take you on a rickshaw ride through lanes of the touristy Thamel and down to Kathmandu Durbar square, an amazing UNESCO world heritage site with many temples and post-earthquake restoration work. Walking back through the old market lanes we’ll try the local delicacies. The rest of the day will be at your leisure. We’ll drop you back to the airport in time for your flight back to the UK. OPTIONS AVAILABLE: Each day has an option to ride in our support jeep. REST DAYS: Kathmandu - Local markets, sight seeing. Meals – breakfast lunch and dinner unless otherwise specified. Any alcohol consumed during the course of the tour by either guide or participant. Cost of transferring deposit money/tour payments.